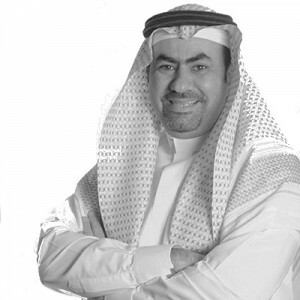 Saeed Saeed - National TalentS Co.
Saeed Saeed is cofounder, CEO and Chairman of board of National Talents Company. He has delivered Kingdom wide programs that has enabled thousands of children to think like scientists, develop skills, and consider career opportunities in the fields of science, technology, engineering and maths for clients. Saeed leads a team of more than a hundred employee aiming to to inspire youth through designing and operating interactive & creative learning experiences using science, technology, engineering and math. TalentS projects span a wide range of informal interactive learning spaces, from museums, science centers and fab lab to festival and exhibition participation. His team works from Riyadh, Khobar, Dubai and London delivering services for landmark science centers and fabrication labs and working across the Gulf with clients include Saudi Aramco Energy Exhibit, Mishkat interactive center for King Abdullah city for atomic and renewable energy, the Etihad Museum (Dubai) and the Abu Dhabi Education Council. Saeed has a BS degree in Electrical Engineering from University of Tulsa and a Masters degree in Electrical Engineering from Cornell University. During his time at Cornell University, Saeed led a team of engineers to compete and win the international robotics soccer competition (Robocup). His passion to learning and making a difference came out his 15 year work at Saudi Aramco where he was inspired and taken away by the Sr. VP vision at that time ‘Where every employee excel and create a better tomorrow’ leading him to the startup of Talents in 2007. He has recently graduated from Owner/President Management Program (OPM) at Harvard Business School. The program is a rigorous, 9-week Executive Education program held over a 3-year period, for business owners and entrepreneurs with at least 15 years of management experience and who hold a major equity stake in their company. Saeed is also the chairman of board for Said group family business which was established by his father, the late Atef Saeed and is a member of Young President Organization (YPO).